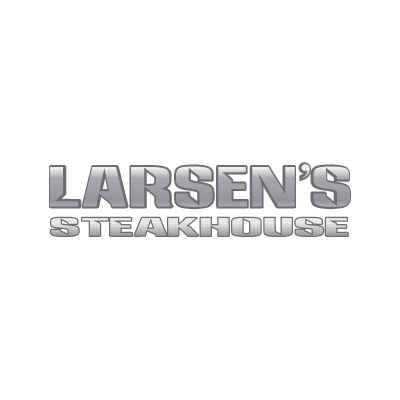 The Story of Larsen’s Steaks: Larsen’s requires a highly skilled butcher to be at the location at all times to monitor airflow, temperature, and humidity. During dry aging, the prime meats’ natural enzymes act as soothing tenderizers. At the same time, moisture evaporation improves the supple texture and hearty taste of the meat, making it richer and more buttery. Dry aging continues until a thin coating develops on the meat surface. This coating seals in flavor and juice, and is later trimmed off. Larsen’s then wet ages its beef for another arduous fourteen days, preserving its flavor of highly marbled, prime grade meat, from exceptional cattle breed. This process is a respected, time-honored technique of preparing high quality beef. It ensures that our guests enjoy the best steak they’ve ever had.